Have you ever had a tattoo that you really wish you didn’t get? It’s hard to regret something that’s permanently on your body, but alas, there are those mistakes that happen in Vegas but don’t necessarily stay there. Sometimes they come back with you. And they’re unfortunately in the shape of a massive tattoo. Luckily, there are places like the Plastic Surgery Clinic in downtown Toronto (and Mississauga) that can clear those mistakes right off using the very latest technology. Not only do they have two MDs on staff, but they also provide PicoWay services. 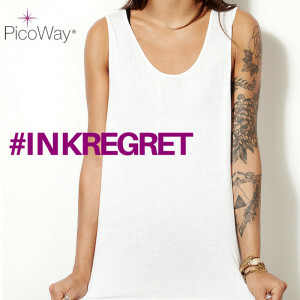 “We are the first clinic in Ontario to offer PicoWay®, laser tattoo removal to patients. It is a safe and effective treatment that removes tattoos fast with minimal discomfort and risk,” says Dr. Frank Lista, MD, FRCSC, of The Plastic Surgery Clinic. Since we have introduced the procedure, we have seen a growing number of patients booking PicoWay to remove their unwanted tattoos that may have originated from an ex- girlfriend or boyfriend or past relationship. Our patients are very happy with the results they’re seeing after completing a full set of treatments,” add Lista. “PicoWay® uses unique picosecond laser technology which is faster than any other traditional laser tattoo removal solution available. In addition, it requires few treatments and has better clearance,” Lista added. PicoWay uses laser treatments for all their tattoo removals. Not only do they swear by their effects, but the treatment can also be used to clear up skin irregularities and pigment, as well as signs of aging. When dealing explicitly with tattoo removals, PicoWay uses a specific laser wavelength to target the colours of ink in your tattoo. In order to eliminate the tattoo it uses short pulse bursts to break down the ink in your body. PicoWay uses less heat on skin to ensure that it’s a safer and more effective technique when dealing with tattoo removals. The goal is to create a healthy, comfortable, and effective treatment for all skin types.